Loose Rail Brewing falls on the “micro” end of the craft brewery spectrum, and inhabits a structure near Canal Winchester’s historic downtown. I’m a sucker for a good building history, and my dad clued me into the tale behind the brewery name: Columbus used to have an electric railway system, and the building served as a power station for the enterprise. The interior isn’t large, but the attached outdoor space boasts a cozy patio with fire pits, the ideal spot to catch some live bluegrass music. No food is served but trucks like Sophie’s Pierogi and Star City Sliders are frequently parked nearby. Even the beer names stick to the train theme; think Full Steam Saison or Freight Hopper IPA. I fancied the Coal Burner imperial stout. Scotland’s BrewDog also chose to put down roots in Canal Winchester, picking the city for its production headquarters in America. A massive operation with a potential beer-themed hotel in the works, BrewDog’s complex offers pond views, corn hole boards, and plenty of eats. Punk IPA is the flagship beer, but definitely opt for a flight to find your favorite. 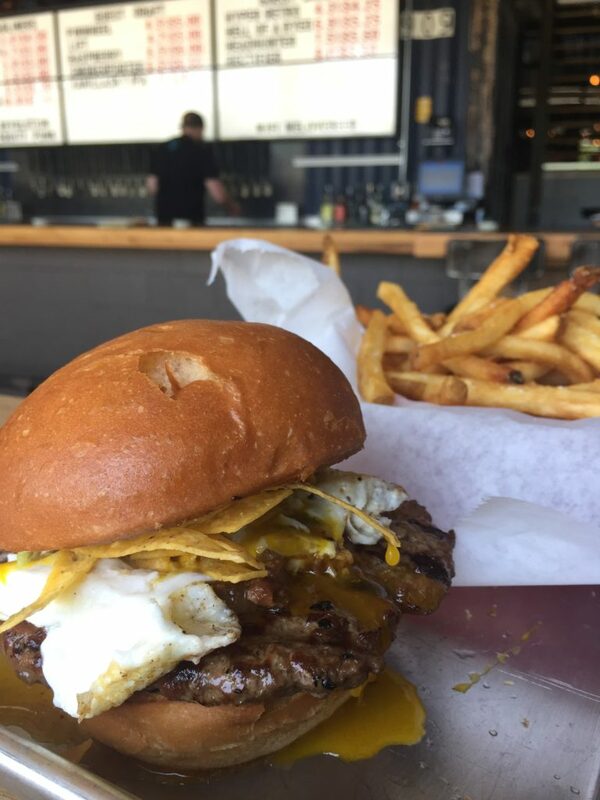 Pair your suds with hot pretzels, Prosciutto and arugula flatbread, or the Identity Crisis burger, crowned with tortilla chips, avocado, a drippy egg, and more. Culinary Clue: On your way out of town, make a final stop at Blystone Farm to pick up bottles of local craft brews and maybe a cookie or two for the road. Also, they have bacon breakfast sausage – it’s a thing, and you should be eating it. Or dine at Harvest Moon Cafe, it’s owned by the same folks that run Loose Rail. Sour beer lovers rejoice! 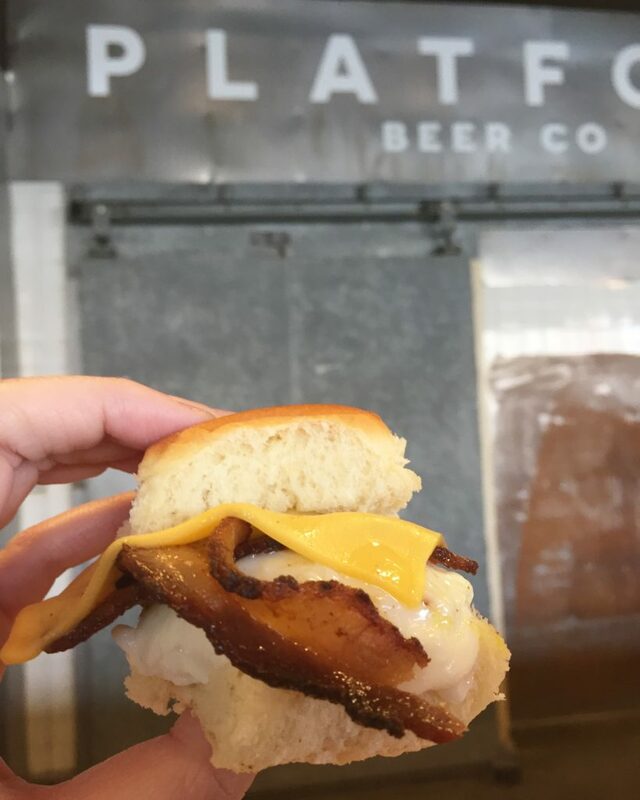 Cleveland’s Platform Beer Co. has hit Ohio’s capital city, and it’s fast becoming a hangout for hopheads and foodies alike. The taproom has a large patio that will be wonderful once the weather starts to turn, and the large and casual seating area has an industrial feel. But the sour beer and the rotating eats are the reasons you’ll keep coming back to the Discovery District outpost. Platform has a constantly evolving draft list, but the sour beer styles are where the company really shines. Until this point, sours haven’t been the focus of local purveyors, so it’s been a pleasant surprise to find cans of Platform’s funky brews on the grocery store shelf. On Saturdays from 12-3, the bar boasts Sour Hour, an opportunity to sip on sour flights for $8 and get sour growler fills for just $12. Blackberry Bearded Gent IPA is a summer-worthy, fruit-infused delight, but make sure to sample the seasonal Shanghai Noon, a gose-style with lychee and prickly pear. Additional sour selections: Bunny Pajamas, City Boy, and the expectedly citrusy Tang Life. Equally original are the pop-up restaurants hosted by Platform. With menus unlike any others in town, the taproom tables are often filled with unique and delicious meals. Take a bite of Meatball Mafia’s mouthwatering meatball entrees, or dine on dishes from the pork extraordinaires, 1803 Bacon. I recently devoured curry-cured bacon and egg sliders on sweet buns there for brunch, and wasn’t disappointed in the least. Other options: Creole Crust Cajun pizza by Da Levee, Freaks and Leeks vegan brunch, The Hungarian Butcher, Put It in Your Face Sandwich cart, Bus Appetit, and African pop-up Asempe. Culinary Clue: Make sure you park at the metered street parking. Platform doesn’t have a dedicated lot and Columbus State campus police will ticket your vehicle. Until very recently, the craft beer scene in the Gahanna area was severely lacking. With the addition of Crafted Drafts, Pigskin Brewing, and 101 Beer Kitchen, the northeast-area ‘burb has started to transform. Another major factor in the change: Kindred Artisan Ales. The business was recently selected as one of the best local start-up companies by The Metropreneur, with good reason. Opened in April 2016, Kindred’s bar is outfitted with plenty of woodwork, white subway tiling, and ample seating. There is no food made in-house, but some of my favorite local food trucks make regular stops here, including Aloha Streatery, Street Thyme, and Sophie’s Pierogies. You can also find entertainment such as live trivia, bands, and contests going on throughout the month at the taproom. The brewery’s collection of pints are approachable varieties, often straying from the typical hop-forward ales offered by other brewers. Sample the Hawaiian Shirt (white ale brewed with hibiscus and mango), the Berliner Weisse (tart wheat), or the Kindred Wit, a spicy and drinkable witbier. 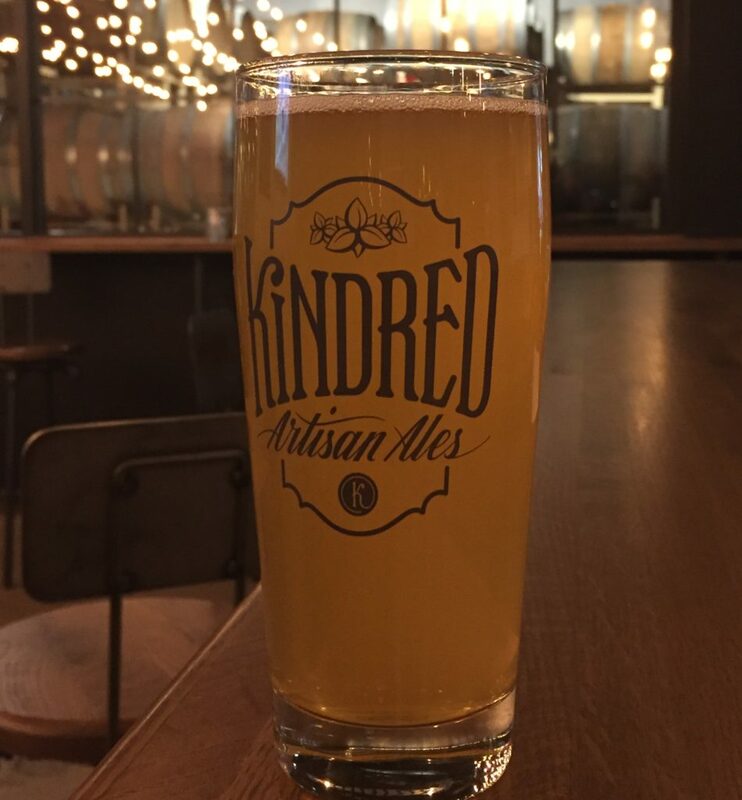 Kindred also has a sour beer line in production, so stay tuned for more details and developments on that front! They also have liquor available for the non-beer drinker in your life. Culinary Clue: Kindred is part of the Columbus Ale Trail. Pick up a passport at a participating brewery, then get to traveling! At every location, ask the bartender to stamp your passport. When you visit 4 breweries, you will receive a Columbus Ale Trail pint glass. If you check in at all 20 breweries on the list, you will get an awesome deck of playing cards featuring the breweries on the trail! I’ve never kept my love affair with Rockmill Brewery a secret. I adore the pristine grounds, the taproom’s cozy restored barn filled with wood and flickering fireplaces, and of course, the Belgian-style beers. So I couldn’t have been more ecstatic to learn that Rockmill had acquired the old World of Beer space. 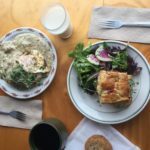 With this development, Rockmill can attract some downtown clientele who may have been wary of making the trek to Lancaster, and also add food to their repertoire to pair with those fantastic beers. In many ways, the new digs mirror the original property. There is a two story loft setup, rows of Rockmill bottles,loads of barn wood, and the brewery’s logo horse motif on every surface. The vibe invites you to linger and gather with friends, just like the farm does. I won’t cover the beverages too extensively, since I’ve written about the brewery operation previously, but two of my favorites are worth mentioning. For a bright and mellow brew try the Petite Saison – it specifically instructs you to pair it with sunshine, but just about any food will do. I also really enjoy the Saison Noir, a style you don’t see very frequently. The Noir has rich, malty tones without being too heavy, making it perfect for cooler weather. 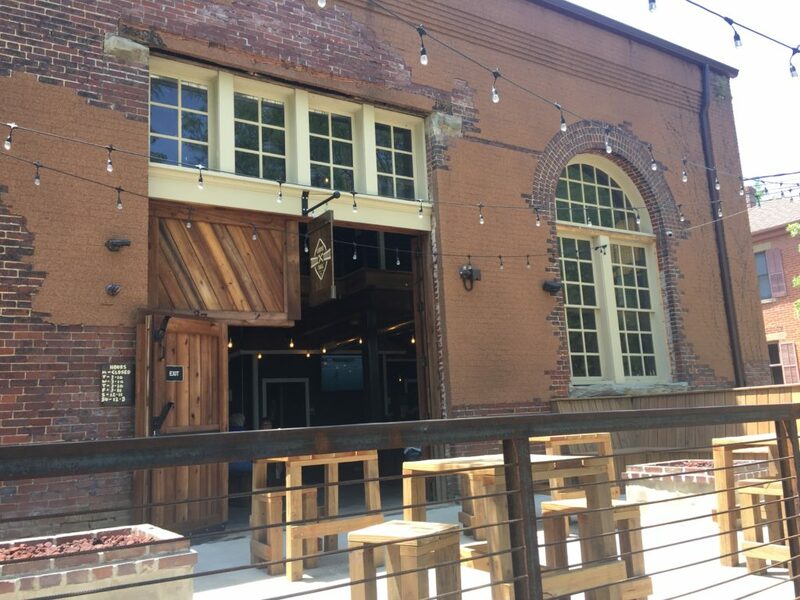 Culinary Clue: The Brewery District is on its way to experiencing a culinary revival. Check out some of the other restaurants that are helping to revive this historic area of downtown Columbus, such as El Arepazo, home of the famous cilantro sauce, the beautiful Via Vecchia Winery event space, or perhaps Columbus Brewing’s restaurant or Brick American Kitchen. Uptown Deli & Brew / Temperance Row Brewing Co. I went to college at Otterbein University in Westerville, and I’ve always loved exploring the shops in the “uptown” city center. But when I was a student there, Westerville was still dry, meaning no fun restaurants like Uptown Deli and its sister brewery, Temperance Row. But that hasn’t stopped me from coming back to visit now that things have changed! A nod to the town’s past as the “Temperance Capital of the World,” the cheeky name of the brewery is just one of the things I love about this unassuming joint. The interior is designed around a Prohibition theme, with lots of 1920’s era photographs and dark wood. They also have a sizeable private patio, which is a bonus in any urban area. When it comes to brewing operations, I like that you can see into the tank and production zone. Many of the beers are named after key figures from Prohibition (which my inner history nerd always loves) and they give a little blurb on the menu about that person. Take for example, Hatchetation Pale Ale – its moniker is derived from Carrie Nation, who wielded a hatchet, which she used to destroy the furnishings inside suspected saloons. Temperance Row boasts a decent selection of beers for a smaller space which is not as focused on distribution, unlike many of its Columbus counterparts. Get a flight so you can sample them all, ranging from a stout on nitro to Scofflaw Scottish Ale and Corbin’s Revenge IPA. The Uptown Deli portion of this business is no slouch either. I always enjoy the local Blue Jacket Dairy cheese curds, which aren’t overly-battered like some pubs tend to do, and come with plenty of Cajun Ranch for dunking. But my favorite thing on the menu is one of the simplest apps: potato chips sprinkled with spices and Parmesan and dished up with the most heavenly sour cream onion dip. I NEED this recipe. You can also get a side of the dip for the optional chips with your sandwich, something I always do because I want ridiculous amounts of onion dip, apparently. There are more starters, such as black bean hummus, calamari, and cheddar beer fondue for the non-onion obsessed, as well as soups, salads, and charcuterie boards. 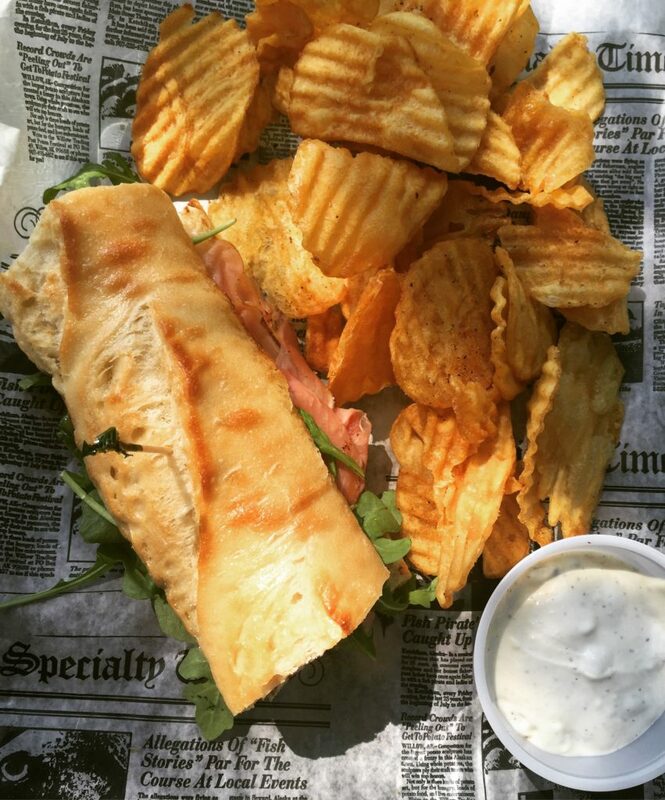 The entrees here are all sandwiches, but that doesn’t mean low-quality. The Figaboudit, consisting of grilled ciabatta, prosciutto, fig jam, goat cheese, and arugula is a good option, or try the classic Reuben, roast beef, or pastrami varieties. I have a soft spot for Brie between bread, so I like the Frenchy too: prosciutto, brie, grilled apple, arugula, and spicy Dijon on a baguette. In addition to selling sammies, the deli also has quality meats, cheeses, and snacks available in bulk so you can take them home! Culinary Clue: Westerville has a ton of restaurants in the uptown area, many of them brand new due to the change in liquor laws. Stop in Asterisk Supper Club or Meza Wine Shop for some divine fare in a great atmosphere! 215 N 4th Street – Enter off Hickory St.
Wolf’s Ridge Brewing puts out some extraordinary brunch food, as I’ve written before, gorgeous plates piled high with mounds of colorful and delicious food. But don’t forget about their spectacular beers! 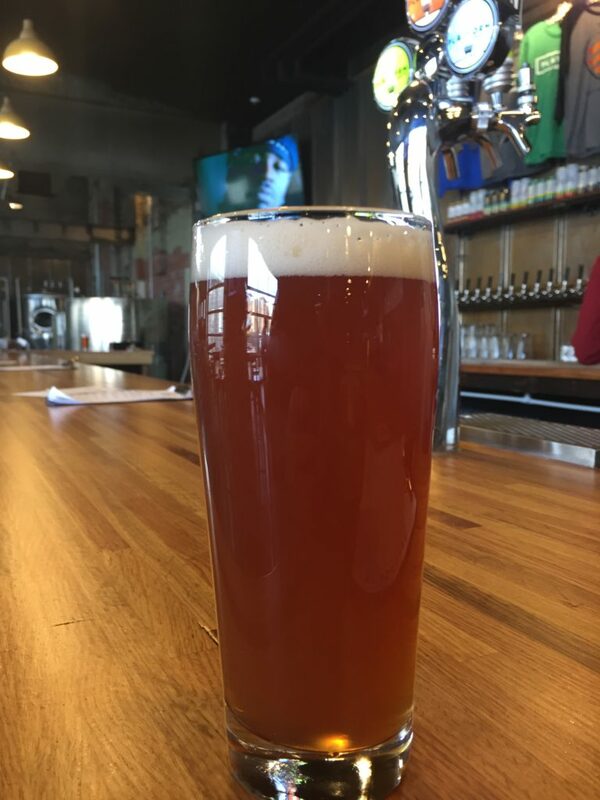 WRB has added a taproom fairly recently which focuses on just the brews, and it’s a wonderful addition as local watering hole. 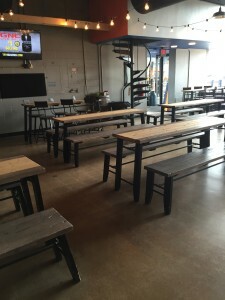 The taproom itself is attached to the main restaurant, but has a separate entrance, and those looking for a more casual vibe will be right at home here. 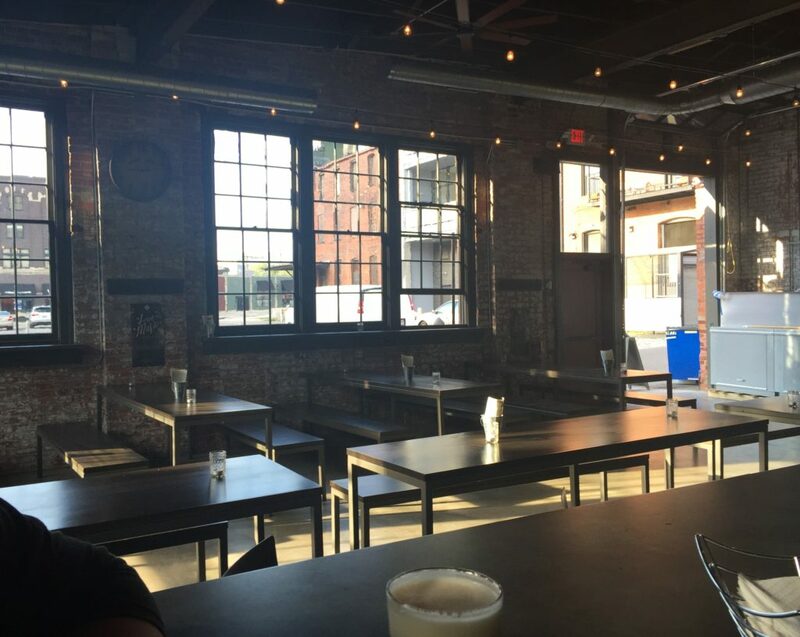 The building housing the taproom is industrial and bright, with original windows and long, spacious tables waiting to accommodate your group. The best thing of all about the WRB taproom is, naturally, the beer. Even considering the variety of drafts on tap in the restaurant, this bar area has stepped up the game with an impressive selection of beverages not for sale elsewhere. The 20 taps range from old WRB standbys to funky infusions. On a given day you can sample sips of robust Dire Wolf Imperial Stout, or try the drinkable and mildly hopped Driftwood Grapefruit Session IPA. There are also a number of takes on a specific beer; during my most recent trip, they had Clear Sky Cream Ale in Cinnamon Toast Crunch, Clear Sky Coffee Vanilla, and Creamsicle Orange Cream varieties. 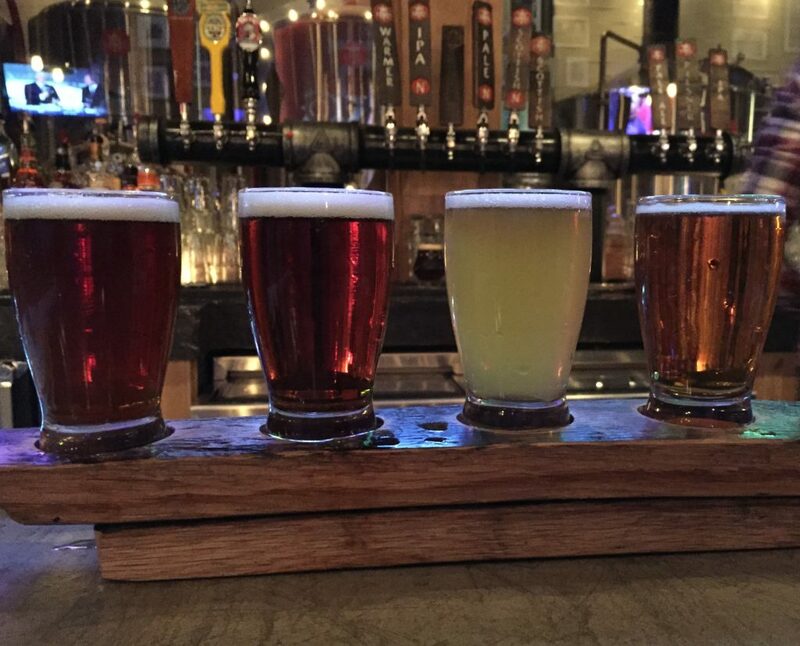 Your best bet is probably a flight to taste them all. For non-beer lovers, there are some excellent possibilities too, like the Sorbet & Tonic with housemade cherry sorbet and Watershed Gin. With this much imbibing bound to occur, snacks are a must. 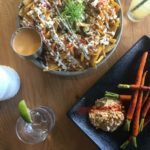 The menu for small bites is short but not lacking in flair or flavor, and also is at a more approachable price point than regular meal choices. 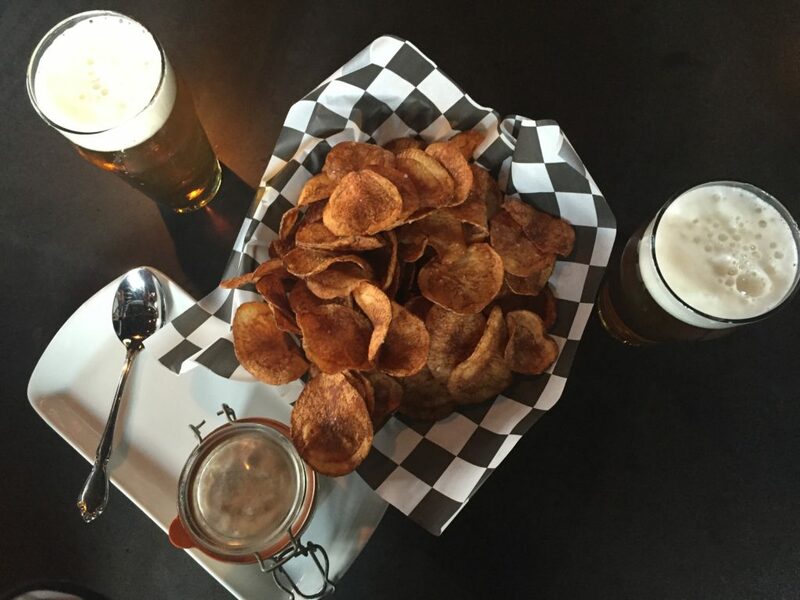 The Salted Potato Chips with Onion Dip were my fav, a dangerously tall mound of chips, served alongside a cute jar of savory onion spread; they were an ideal compliment to my beer. Other items include homemade BBQ pork rinds, spiced mixed nuts, and olive and pickle jars. 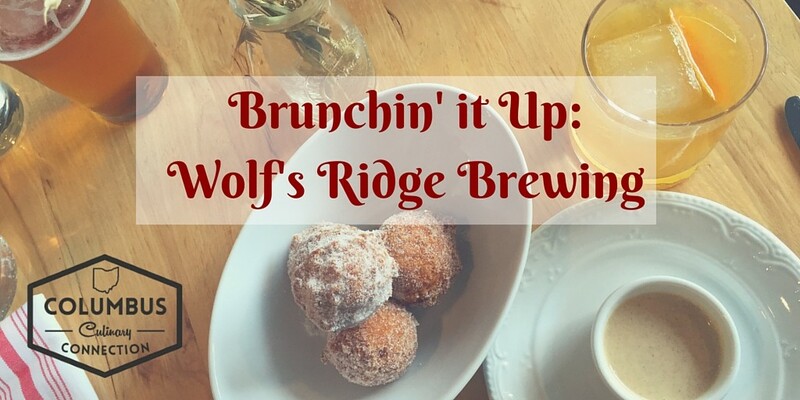 Culinary Clue: Grab some friends and mix up your drink spot by checking out Wolf’s Ridge Brewing’s Taproom this summer! Don’t miss the happy hour: it lasts ’til 8 and includes major discounts on many brews. When a brewery-restaurant can fully master both the beer and the kitchen sides of the equation, there’s not too much more that I am looking for in a dining experience. Wolf’s Ridge Brewing certainly fits the bill here. 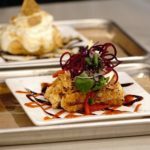 But then, the downtown spot went above and beyond, developing a brunch menu with beautifully plated and innovative cuisine. 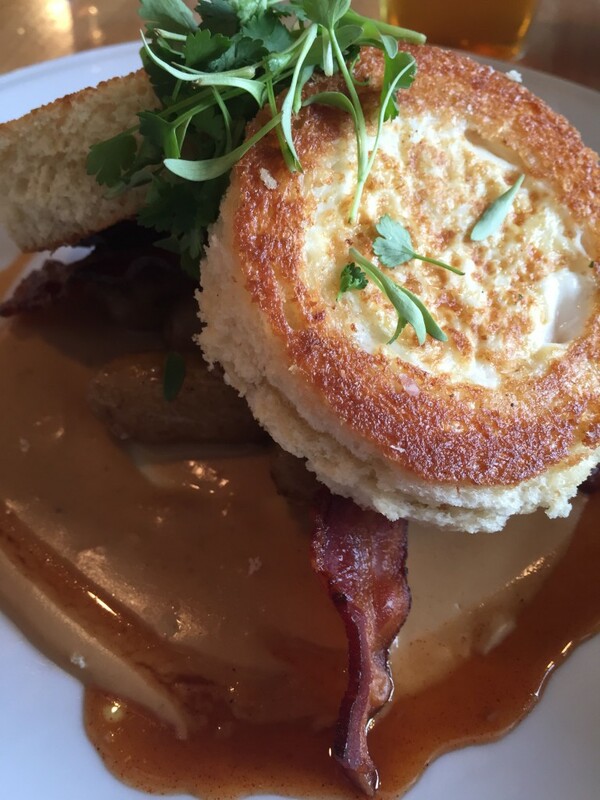 It’s a combo of elegant brunch dishes and well-made beers that is impossible to find anywhere else in Columbus. Let me go ahead and let you know ahead of time: you will struggle to select your meal. My husband and I had to go the “divide-and-conquer” route on our most recent visit so that we could sample as many items as possible, and still wanted to try more entrees. The poutine special they had that day really threw off our game, but who can say no to peppers + onions, sausage gravy, and an egg over shoestring fries? So we had that too. The regular menu though, is packed with delectable choices. 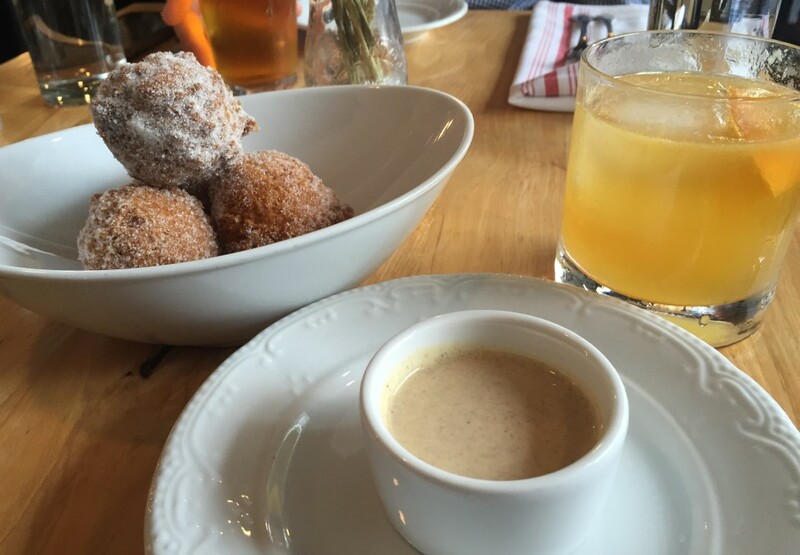 Take the sugared doughnuts, for instance: large doughnut holes that arrive at your table warm and puffy, with eggnog anglaise for dipping. Or try the Bacon French Toast, any bacon lover’s dream: Brioche bread, bourbon bacon ice cream, applewood smoked bacon, anglaise, and syrup. 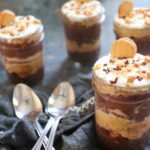 It’s ok to get ice cream for breakfast if it’s a dish someone else created, right? I am so glad I decided the answer is a resounding “yes!” The Toad in the Hole, or “hens in a nest/eggs in a basket,” depending where you’re from, had the best porter cheese sauce, and was served with fingerling potatoes and bacon. It looked way better than any egg I’d fried up at home, that’s for sure. And there’s more too: Oysters Rockefeller frittatas, Cuban-style eggs benedicts, or a Kentucky Fried Chicken sandwich. The drink possibilities are worthy complements to the fabulous fare. 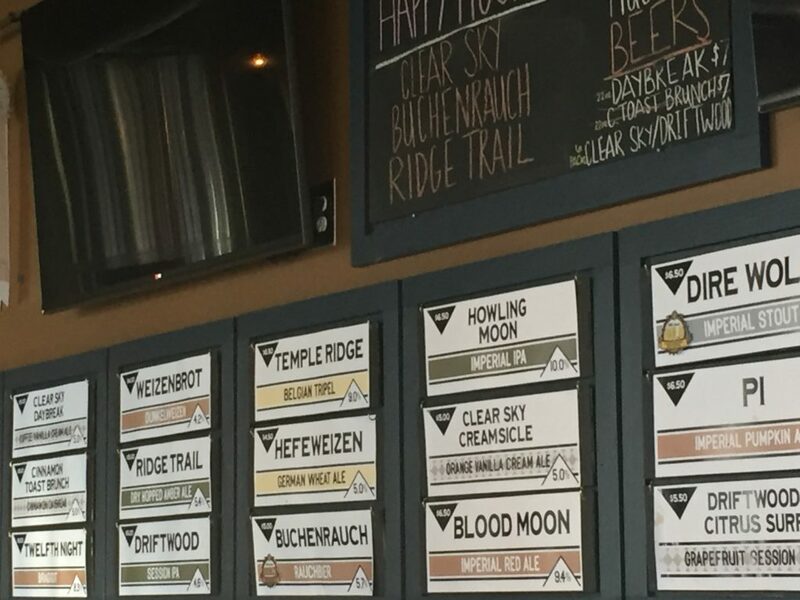 Wolf’s Ridge Brewing has some excellent beers to quench your late-morning thirst, all of which are brewed in-house. Flights are available to taste them all, but my favorites for brunch are the Driftwood Session IPA, to ease into the day with a low ABV brew, or the creamy N2 the Night Stout. On the cocktail side of things, sip on the Beermosa: House Hefeweizen, Lillet, and fresh-squeezed orange juice, or my favorite, the Howlin’ Tail: Howling Moon beer, Watershed gin, lime, orange, St. Germain, and grapefruit bitters. Beer cocktails should really be more popular. 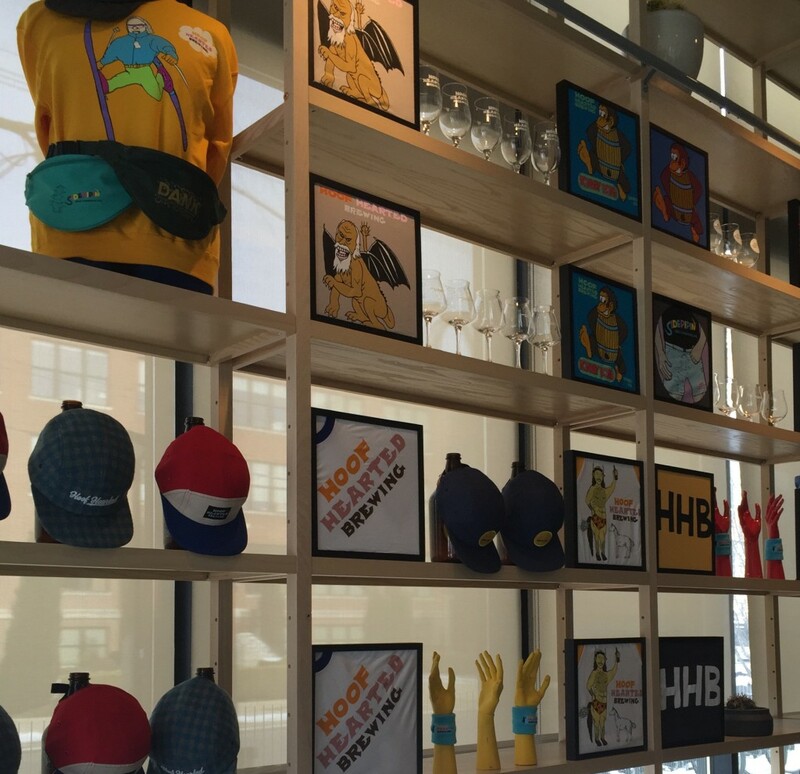 What do you get when you mix great craft beer, innovative cuisine, and a dash of humor? The new Hoof Hearted Brewery & Kitchen, of course! I’ve long been a fan of Hoof Hearted’s beer offerings (thanks to The Daily Growler) but I was totally blown away by the food at the brewpub. 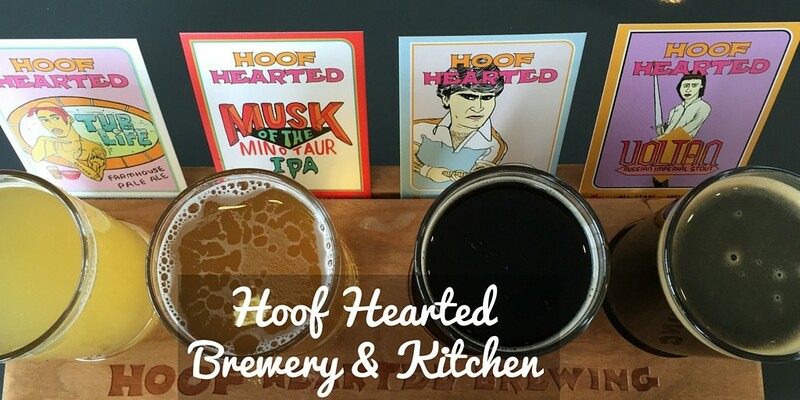 A great addition to Italian Village, Hoof Hearted’s restaurant is airy and colorful. Brew tanks encased in glass are the joint’s focal point, and they have an excellent assortment of logo-laden swag on display for purchase as well. Let’s get down to the nitty-gritty though. Hoof Hearted shines the most when it comes to IPA’s; which is just dandy for this hophead. The Musk of the Minotaur IPA is a great mix of citrus and hop bitterness, and I love Roller Blabe, the fruity and smooth Double India Pale Ale. The “party pale” ale, Are We Having Fun Yet?, is a beer that is just drinkable enough for summer patio-sipping. A gose, a coffee ale, and other solid picks are also available. Sometimes breweries that serve food get stuck in the same old rut, dishing up pretzels and greasy fries. 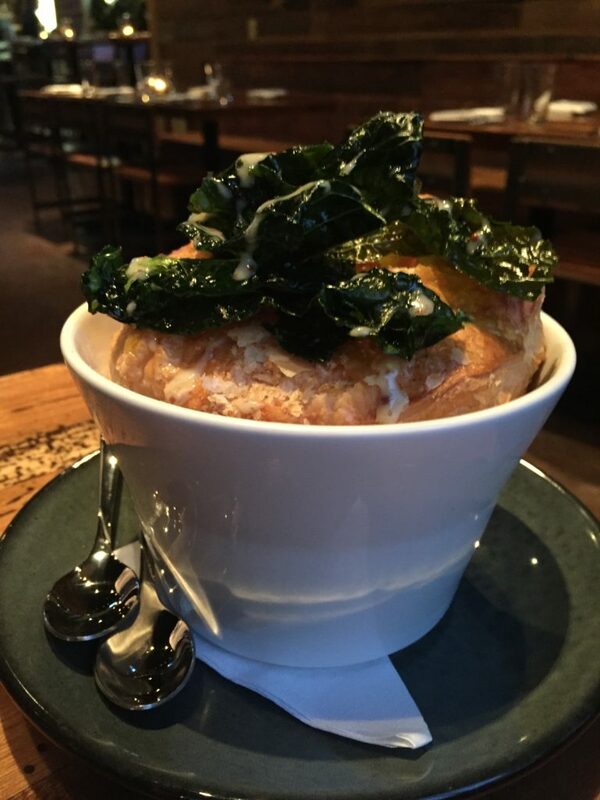 Not so for the Hoof Hearted menu, since the creators of Crest Gastropub are at the helm. 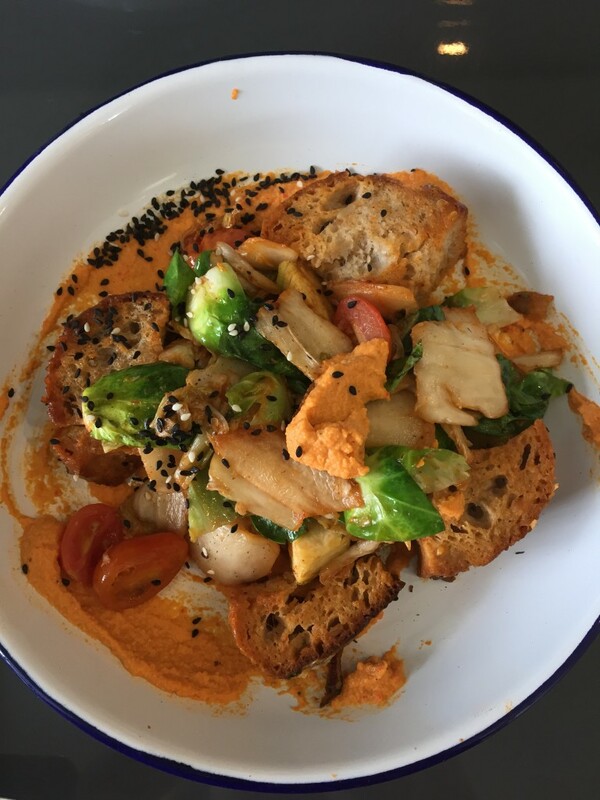 I am desperate for the recipe to recreate the Kimchi Panzanella, one of my favorite bites of 2016 so far. This shareable plate takes chunks of bread, Brussels Sprouts, and tangy kimchi, then slathers it all in an out-of-this-world red pepper sauce. So original, so savory, and surprisingly vegan-friendly! We also sampled the oxtail toast and the poutine. The poutine was a table favorite, with large potato wedges topped with jalapenos, daikon, pork cheek, onion rings, brown gravy, and a gloriously runny egg. The cheese plate looked killer, as did the fried chicken and the taco quartet – I must return soon for these items. 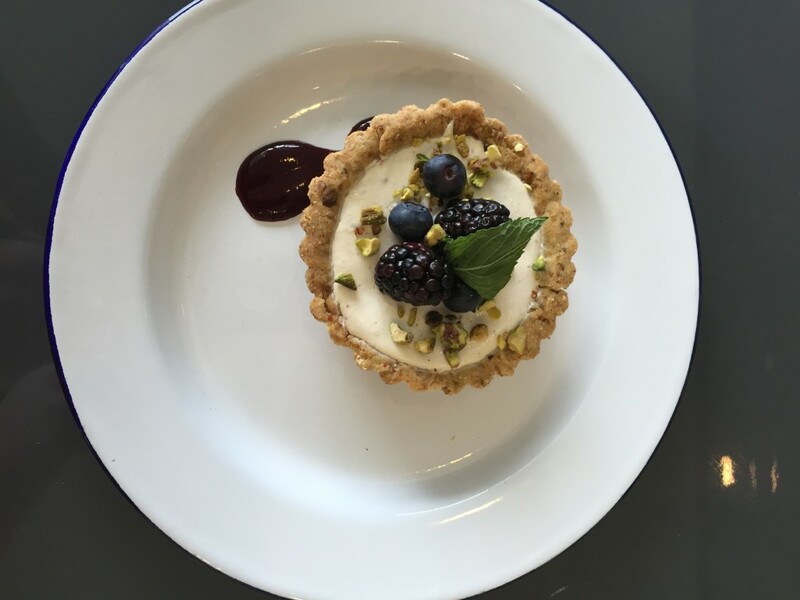 Desserts consist of apple pie dolloped with sage whipped cream and a pistachio-crusted fig tart. 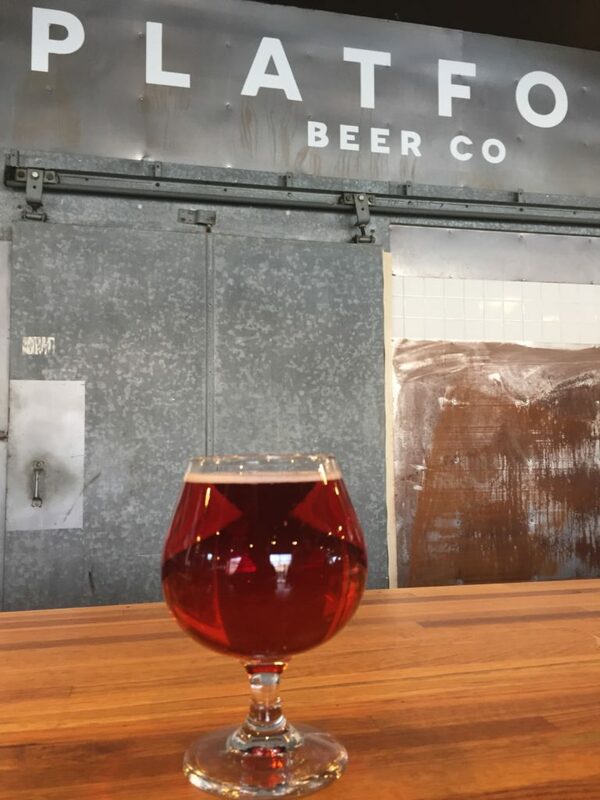 Culinary Clue: Don’t forget about Hoof Hearted’s Marengo taproom either. At this original location, you can score cans of your favorite brews on select weekends, and drink their selections on draft as well. Be sure to get there early – these can release parties can get crowded. 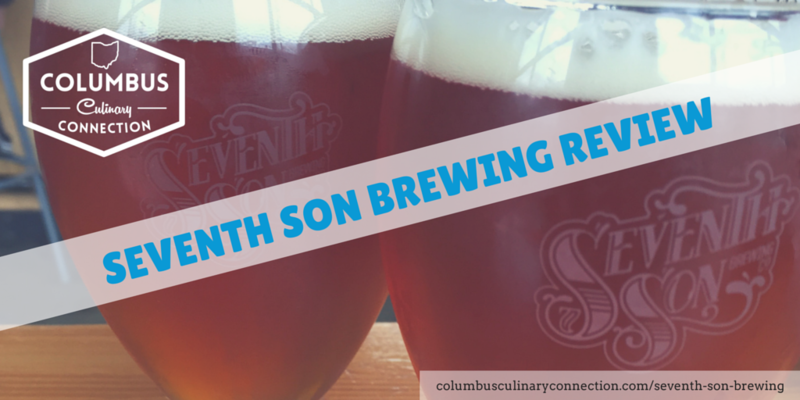 If you like craft beer and live in Columbus, you’ve likely sampled some of the tasty offerings from Seventh Son. They have very distinctive labels that make their bottled brews easy to spot on the shelf when you’re shopping for good suds. 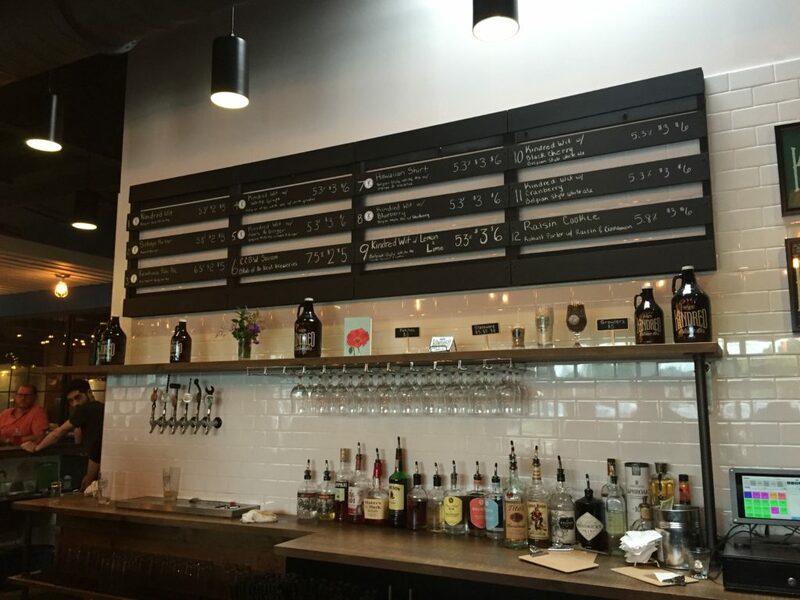 This Italian Village-based gem has both great beers and a spacious taproom, making it a winner in my book. Let’s start with the most important part: the beers! Humulus Nimbus Super Pale Ale is a light and golden selection, perfect for summer drinking. 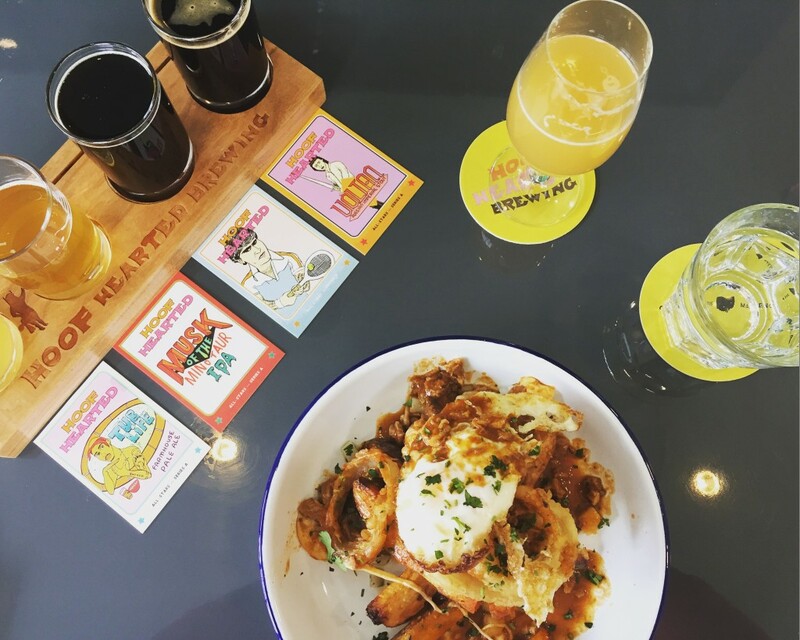 Try the coffee version of Humulus Nimbus too, infused with Thunderkiss cold brew coffee; it pairs well with brunch. Syzygy Double IPA is a hoppy treat, and I am a sucker for a good DIPA. Seventh Son also does a lot of collaboration beers, which I love. Breweries supporting other breweries is one of the things that makes Columbus so great. The brainchild of one of those collabs is Urban Cowboy Belgian Stout, a dark and flavorful blend of Rockmill Brewery yeast and Seventh Son hops and malt. Prime Swarm Saison is a honey-laced beer that will please any palate, and packs a punch of ABV for a saison. The Scientist is an interesting concept beer too. This IPA is like an experiment, in that each batch brewed alters one component to make it different from the last – different hops, different malts, or different amounts of either make you want to taste each version of this beer. Another reason to visit Seventh Son is for the perfection of the interior. 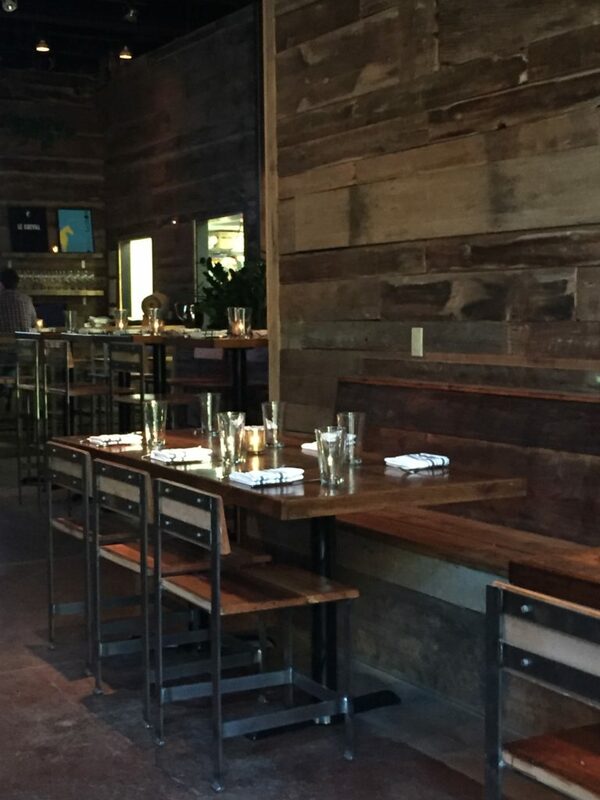 There is a mix of old and new in the taproom, with industrial touches combined with antique bottles and funky wood. 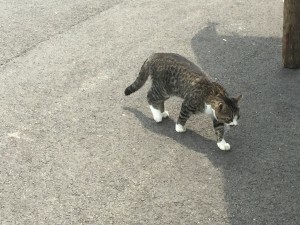 Don’t forget to greet Old Horatio, the Assistant Manager/resident cat, who has his own Instagram following at https://instagram.com/assistantmanagercat/. Plus, there are patios in both the front and the back of the space! Like many local breweries, there is no food served here, but you won’t go hungry! Seventh Son has a super-regular food truck schedule, (posted on their website here: http://seventhsonbrewing.com/food-truck-schedule/) consisting of a truck each evening and sometimes at lunch or brunch. 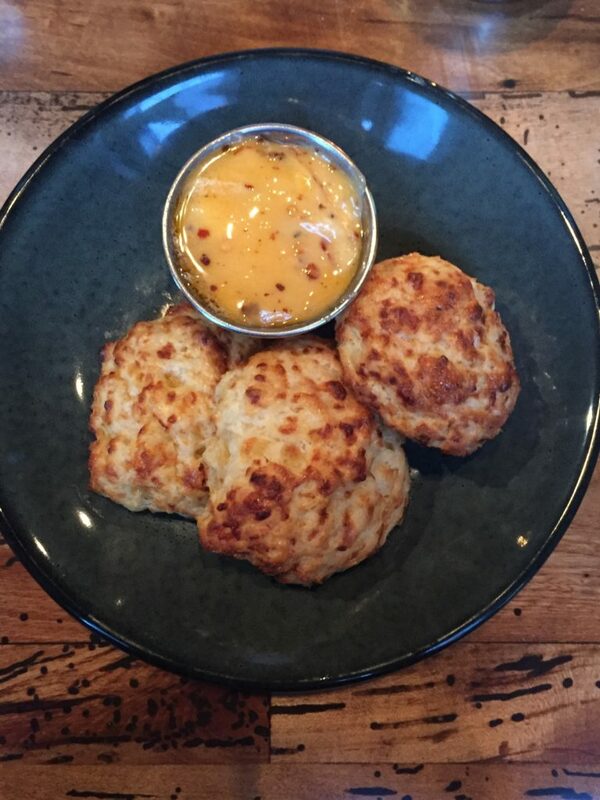 I’ve caught up with Cbus favorites like Challah, Por’Ketta, and Sophie’s Pierogi here! 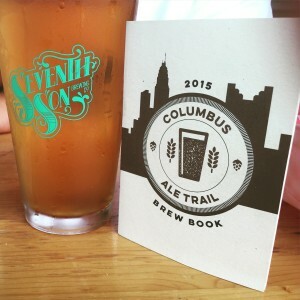 Culinary Clue: Seventh Son is one of the stops on the Columbus Ale Trail. Pick up a passport at a participating brewery, then get to traveling! At every location, ask the bartender to stamp your passport. When you visit 4 breweries, you will receive a Columbus Ale Trail pint glass. If you check in at all 20 breweries on the list, you will get an awesome t-shirt! 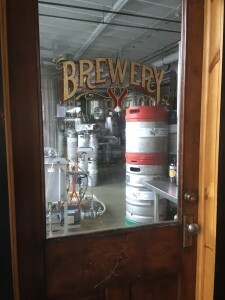 Want to learn more about my brewery adventures? 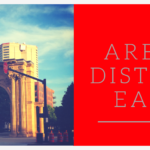 Sign up for the Columbus Culinary Connection newsletter to have more fun delivered right to your inbox. As I’ve mentioned before, Zauber’s hefeweizen offering, Vertigo, is one of my favorite beers for summertime sipping. This brew is light but full of banana and clove flavor, making for a drinking experience that is both interesting and approachable. Berzerker, a Belgian IPA, is a perfect combo of yeasty, hoppy, and fruity that anyone can love. My favorite of all is the Roggen, a roggenbier with delicate rye notes and a drinkable 5.5% ABV. When the season calls for it, sample the Märzen or the Oktoberfest styles, which don’t disappoint either. For happy hour, check out their $3.50 specials from 4-7 through the week. Or pop in on Mondays, when a liter (!) 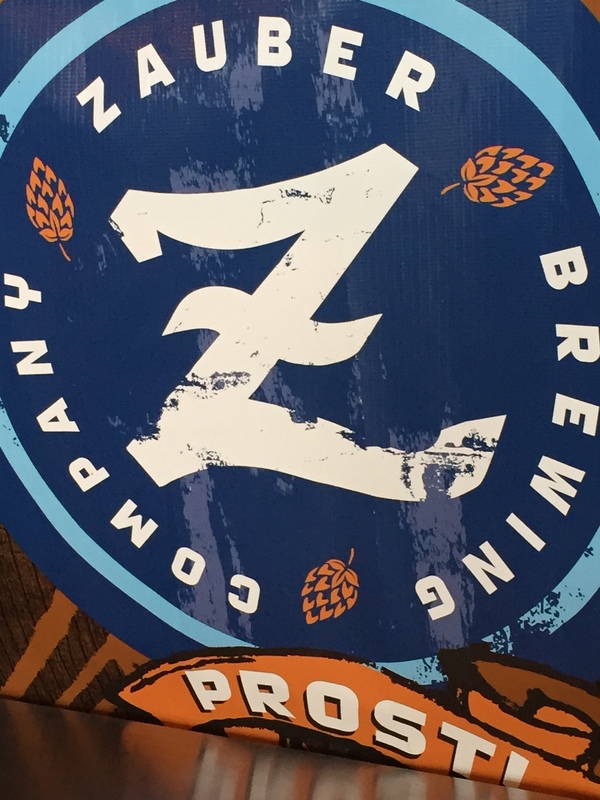 of Zauber beer is only $6 – this can be a problem, it’s such a good deal! Surprisingly enough for a brewery, Zauber’s cocktails are equally wonderful. Many are made with their beers, which is my own personal heaven. 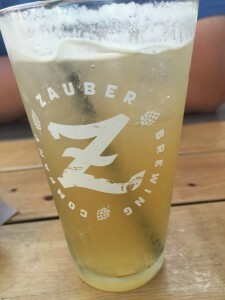 I loved the Zandy Shandy: Domaine de Canton (ginger liqueur), Ginger Beer, Lemonade, and a splash of Vertigo beer. Or try the Columbus Cider for fall in a glass: OYO Bourbon mixed with Mad Moon Cider, Nutmeg, Lemon Juice, Art in the Age Rhubarb Liqueur, Apple Bitters, and Simple Syrup. Ask for the Red Brigade for a fun take on a negroni, which combines Berzerker IPA, Campari, Sweet Vermouth, St. Germain, and Cherry. 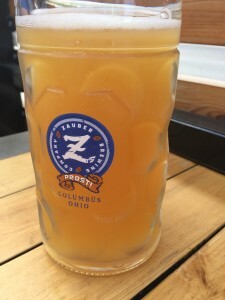 No food is served at Zauber, but they have one of the most regular food truck schedules of any brewery, with the same trucks often in the same time slot every week. Or, get carryout from one of the other great local eateries and bring it to the new bier garden to munch while you drink. I’ve done this with Bar 145, AAB Indian, and Third and Hollywood, all of which went wonderfully with Zauber brews. Culinary Clue: Are you a soccer fan? Zauber is your dream bar to watch matches! They have a large amount of TV’s that are almost always tuned to soccer coverage. There is also swag from different teams decorating the interior. Look on their facebook page for soccer-related events. Or, if you are a Clippers fan, fill up a glass at Huntington Park, which offers their suds too. This is the inaugural review post for my Grandview culinary scene series. Sign up here to automatically be informed when new Grandview posts are released! To see my breakdown of the best Grandview spots for dining and shopping, check out the initial roundup post here.